Thank you for contacting me, it is great to hear from you and I understand ALL the thoughts that must be running through your mind. As a mum, you want the best for you daughter and I know your whole heart is in following what is best for her. When I listen to you, I think of my own mum who must have had constant worry circling her mind through my dancing career. 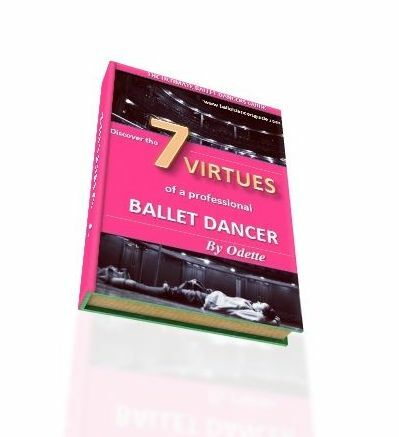 really tough one to advise, because you seem to understand all the uncertainties to a profession in ballet. The chances are almost impossible to say, as I am still trying to figure out to this day why some talented dancers make it and others don't. It is partly luck, skill, mentality, physicality and training all put together. The best thing I can say if she is going for the full time training, is to keep working hard and keep her interests open in everything she does. My mum was quite insistent with still achieving the necessary academics, which I managed to do up to the point where I reached a professional ballet company. Mainly, I was passionate myself and worked hard to achieve what I did. I saw other girls who did not take it as seriously or not fully committed, which did not end up favorable for their part in this highly competitive profession. Still, the pressure or expectations can be hard to deal with for young dancers so one of the best things is to 'go with the flow' too. I know it sounds ridiculous to say to a caring mum, but sometimes you do just have to see where the time leads you with given opportunities. In dance especially, there is only so much you can do so the time will soon tell if the profession is for her or not. It is very up and down, but you will know. I hope this helps clear any thoughts, but I am always here if you need to let out any of your worry!